Keith Brameld sadly passed away last week after a long battle with illness. Yorkshire born Keith, a Sheffield Wednesday fan, joined Oxclose in 1988 and we immediately knew the club would be more fun. He employed his attacking style of chess for 22 seasons for Oxclose, Fiveways and Bunkers (now Central), and also played in the Derby & District Chess League, initially as one of the Oxclose group who played for Charnwood Knights and later for Oxclose in the 1990s. In September 1990, Keith, Tom Carter and I all had the same grade, 122, so we decided the board order with a series of 5 minute games. Keith came third but didn’t mind at all even though he was a stronger player than both Tom and me, and he went on to score 12-2-1 that season on board 5 in division 2 for Oxclose 2. This photo was taken in 1994 in my then ‘local’ after a large group of Oxclose players had returned from the Scarborough congress. This photo neatly captures Keith’s open, friendly and fun character. Keith was great company and always saw the positive side of things. 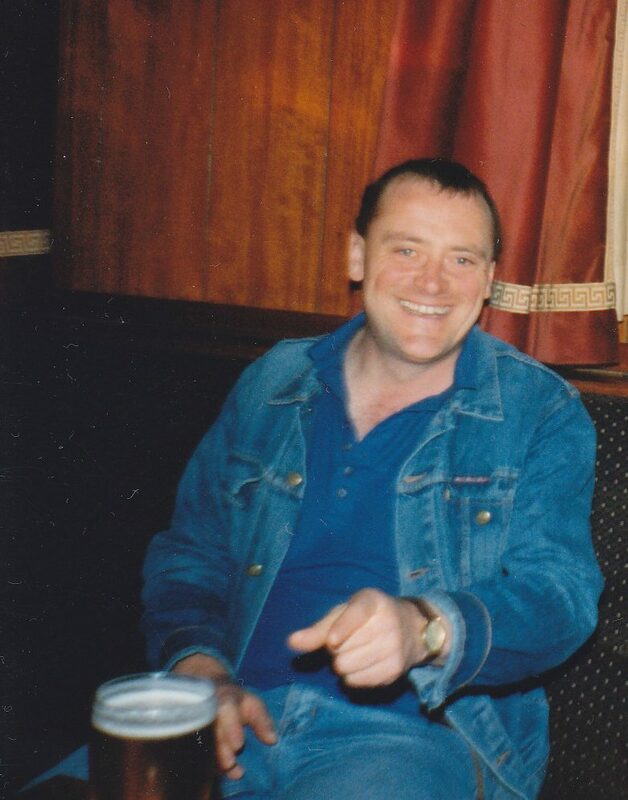 Several of us spent many a happy hour playing chess with Keith, at his or ours, over a beer or two, and he was a fantastic team mate, playing in the same team as me for over a decade. He will be remembered very fondly by those who had the pleasure of knowing him.